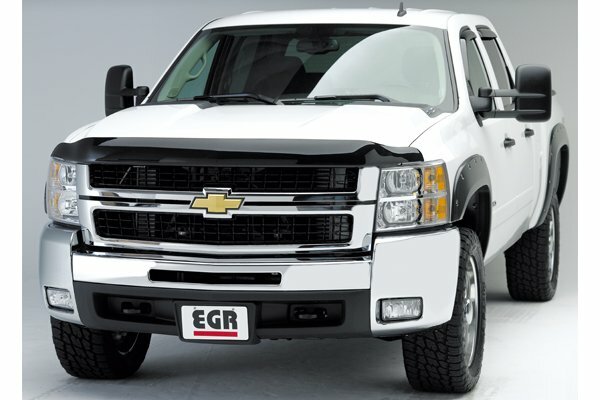 EGR 393371 - EGR Aerowrap Hood Shields - FREE SHIPPING! I would not by any other bug guard. EGR is the best and always fits perfectly. Very Nice shield. Installed very easy. Couldnt be happier. I was told the purpose of the hood shield was to protect the hood and winshield of small flying rocks and bugs, but so far it hasn't done the job. I still have bugs flyin and dying on my winshield and small rocks that hit my winshield. At this point its just for looks and not woth what I paid. Easy installation, looks great, everything I expected. This is a very heavy duty bug shield. Clip installation is a little more difficult that some others and instructions aren't the best but it's a very nice bug shield. 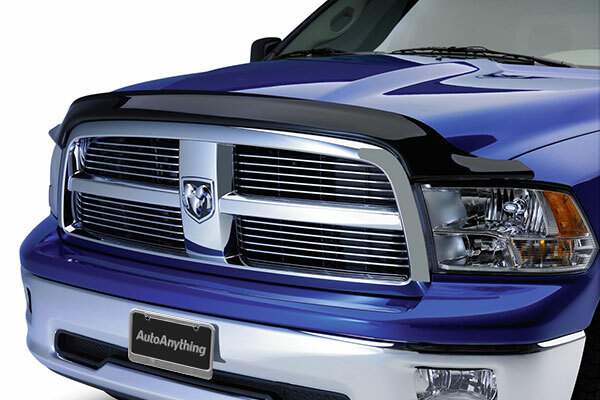 It looks great and has a foam backing to protect the paint on the hood. The one I bought for my last truck did not and it damaged the paint. Product arrived fast and as decribed, directions were clear but I watched a You Tube video just to ensure placement of adhesive tabs. Instalation took about 30 minutes and now my truck looks awesome, adds a low profile look and hard to see at times. 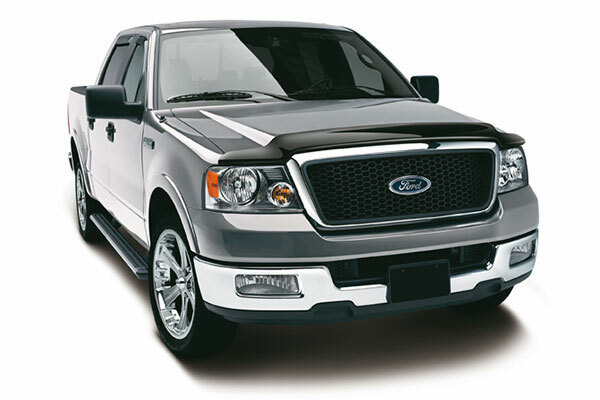 Love the appearance it gives me 2013 Ford F-150. Adds a "tough truck" statement. Seems to be high quality. Fit up was nearly perfect. But the whistling it creates at speeds over 55 mph is quite annoying. The clips are difficult to install over the protective tape. I had to slice the tape with a razor to get the clips on the grill. The shield was relatively easy to install with a little use of force and patients. The shield looks great and complements the hood of the truck. the instructions didn't seem to apply to my truck. There was no way to install the middle clips to the hood so the only fasteners was the screws on each end. Not a good application. It did not install correctly. Some of the parts were not right and it certainly does not fit correctly or look good. Best bug deflector of them all! The make is different than the other that I have seen. 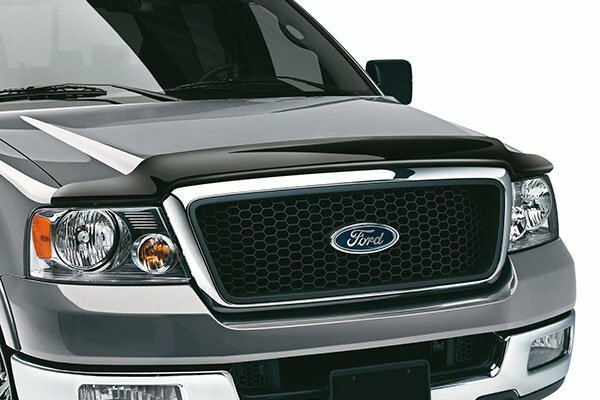 Allow the entire chrome of the grill to still be seen....unlike the other deflectors from the Ford or other brands. 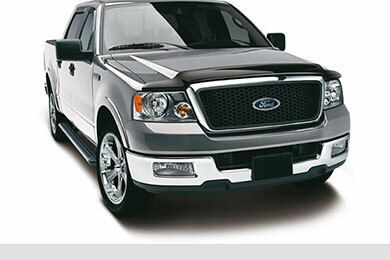 Great value and excellent look on our new 2012 F150!!!! The bug shield installation was easy and we love the look on the truck. 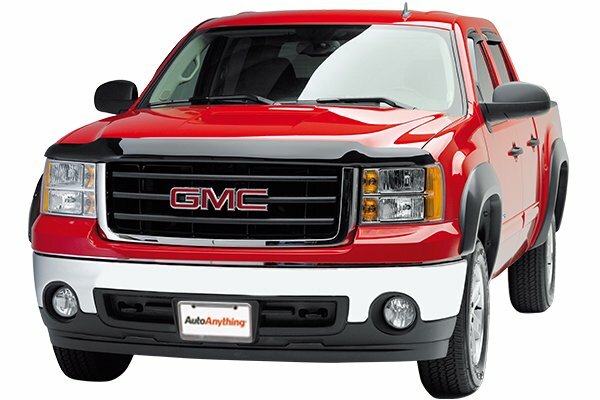 Reference # 763-673-263 © 2000-2019 AutoAnything, Inc.